As part of comprehensive efforts to reduce the number of new HIV infections, some states are innovating to make HIV pre-exposure prophylaxis (PrEP) more accessible to individuals at high risk of HIV. 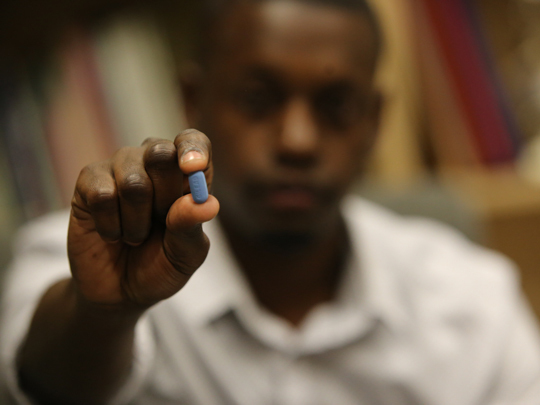 The National HIV/AIDS Strategy (NHAS) calls for improving access to PrEP. When the NHAS was updated in 2015, it identified four key areas of critical focus between 2015 and 2020, including "full access to comprehensive PrEP services for those whom it is appropriate and desired, with support for medication adherence for those using PrEP." These analyses clearly illustrate the need for more and innovative approaches to improve awareness, access, and adherence to this powerful HIV prevention tool. Several states have already undertaken such efforts. The Florida Department of Health is making PrEP available at no cost at all of the state's 67 county health departments. It is already available in many of the health departments and by the end of 2018 it should be available in all of them. "Ensuring PrEP to those at highest risk for HIV infection, regardless of their ability to pay, is one of the four key components of the [state health department's] plan to eliminate HIV transmission and reduce HIV-related deaths," Mara Gambineri, a spokesperson for the department, said in a statement. Patients requesting PrEP must first be evaluated clinically—a process that includes an HIV test, hepatitis C test, and a liver function test. Patients also receive education on the drug, a prescription of PrEP medications, and a 3-month follow-up after PrEP initiation. Although the prescription for the drug is free, there is a fee for the evaluation. Patients will be charged on a sliding scale based on income eligibility. The state announced their PrEP initiative on World AIDS Day 2017, noting that this effort is one of four key strategies being pursued by the state health department to make an even greater impact on reducing HIV rates in Florida. People in rural communities in Iowa who are at high risk of HIV now have access to PrEP through the state's innovative telehealth program. For the last year, the University of Iowa-led TelePrEP program has expanded access to PrEP by using secure video conferencing for in-home visits between patients and UI Health Care pharmacists and providers. Acknowledging the lack of PrEP prescribers in many rural communities across the country, the TelePrEP website states, "We believe that every Iowan who wants/needs PrEP should be able to get it without having to spend a whole day in the car and without risking a loss of privacy." "We know that there are people in rural Iowa who are at risk for HIV. Approaches that work well for delivering PrEP in large cities don't adapt to rural Iowa. We need to try different approaches such as this telehealth technology to make sure PrEP is available to those who need it, regardless of where they live," said Michael Ohl, MD, a UI Health Care infectious disease specialist and medical director of the TelePrEP service. Funded by the Iowa Department of Public Health, the TelePrEP service is a collaborative effort among the Department, the Signal Center for Health Innovation, the Johnson County Public Health, and the UI Health Care Departments of Infectious Disease and Pharmaceutical Care. Visit the TelePrEP program's website to learn more.